As we are all aware, while many of our colleagues may be worthy of an Australian Honour, it is only when someone takes the time and effort to compile a submission on their behalf that they can be considered. Because of the exacting nature of the Honours application process, preparation of the required submission can be an arduous task. In order to address this issue, the Council of Convocation has established an Honours Committee to take on this responsibility of nominating and preparing the submissions required for those worthy of recognition to be considered by the Australian Honours Secretariat in Canberra. However the success of this initiative depends on members of the University community taking the first step by nominating those who you believe should be considered for an Order of Australia. To ensure confidentiality, please send your suggestions directly to the Warden of Convocation. All suggestions will be treated confidentially throughout the nomination process and it is helpful if a nomination includes the names of those who may be able to provide the background information required to complete the submission. 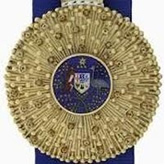 If you or someone you know has been awarded an Order of Australia and they do not appear in this list, please contact us at convocation@uwa.edu.au.